Climbing has always been a craft best learned from knowledgeable and experienced partners. We believe every climber should have a supportive mentor. Each Apex member receives an individual climbing plan (ICP), a roadmap of their climbing dreams, which we use to pair them with a nationally certified MAA instructor as their personal climbing mentor. This climbing mentor (CM) is a friend who provides coaching and support to the member mentee in accomplishing their goals over the long term. This team discusses progress made and makes plans to be together on the mountain. They climb and work as a team. In this way, mentees learn from and are guided by their mentors - online, at training events, and on climbs. 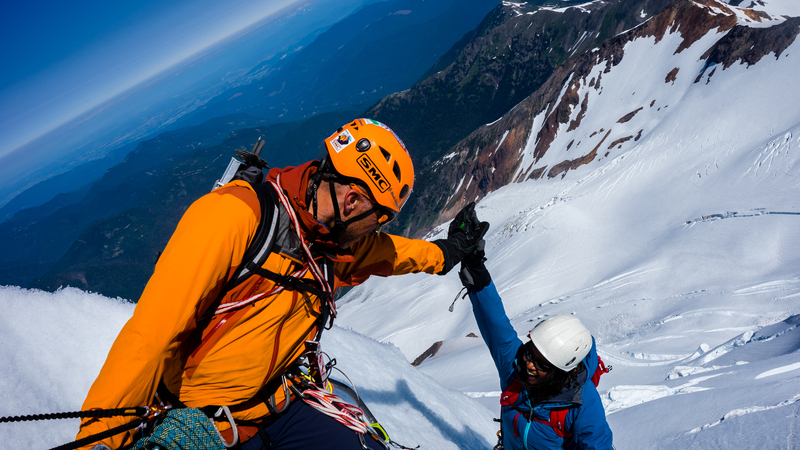 Together this team forms a lasting climbing partnership that is at the very heart of climbing.